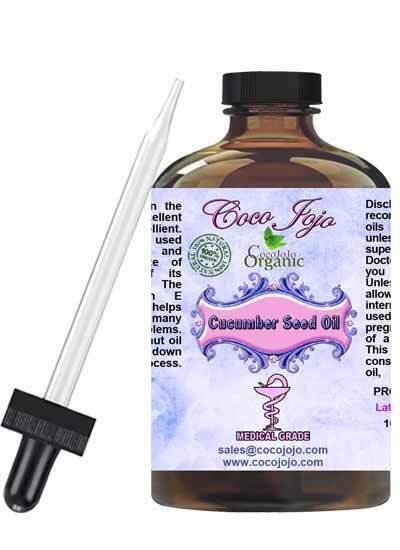 Cucumber Seed Oil product is Unrefined, which means it is in the purest form that it can possibly be in. Cucumber Seed Oil can be effective in aiding a variety of skin conditions. It is a good choice for inclusion in formulations for revitalizing maturing skin. It is a good choice for inclusion in formulations for revitalizing maturing skin. It is excellent choice for use in moisturizing formulations for the skin and hair care. Cucumber Seed Natural carrier oil is very light with a fatty acid composition that helps to keep the skin fresh, soft and moisturized. 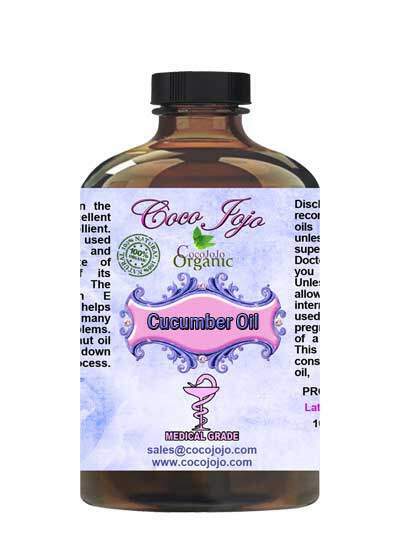 Cucumber Seed Oil spreads easily and is absorbed relatively quickly by the skin. The oil is absorbed quickly by the skin and it spreads well without leaving a sticky skin feeling. The vitamin B1 and C content of cucumber oil is believed to help detoxify the skin’s pores and, consequently, helps to eliminate some related conditions. The tocopherols and phytopherols in this oil are believed to help restore the skin’s moisture levels and help maintain proper balance.Cucumber Seed Oil improving skin elasticity. It could go into any skin care products for sensitive skin or around the eyes. Another benefit of cucumber seed oil includes the properties of building elasticity of naturally curly hair, keeping it strong.